Dr. Achingliu Kamei is an Assistant Professor in English Department in Atma Ram Sanatan Dharma College, Delhi University. She did her Ph. D. from Jawaharlal Nehru University. She has published a collection of folk stories, entitled Dawn, Naga Tales. She is currently working on her next book titled Morning Blush. 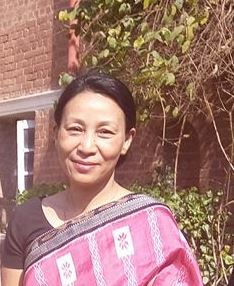 Her area of interest is African Literature, Oral Literature, Environment, Literature & Ecocriticism and Literature from North East India. She is also an avid marathon runner. Her areas of interest are quite closer to the primary and major concerns related to the LEGH Movement. She is a lifetime member of FSLE-India, an International Organization working in the field of Ecocriticism. She has also been appointed as one of the Executive Council Members of FSLE-India for its Delhi-NCR Region.